Details: Inovar is the new contemporary buildings concept from Norwegian Log which works alongside their more traditional log buildings. With this new contemporary product the client needed a new brand, new responsive website and supporting social media presences on Twitter, Facebook, Google+ and YouTube. I provided a fully integrated service working with the client to plan the programme and then deliver the corporate identity and logo, WordPress website and the initial social sites. 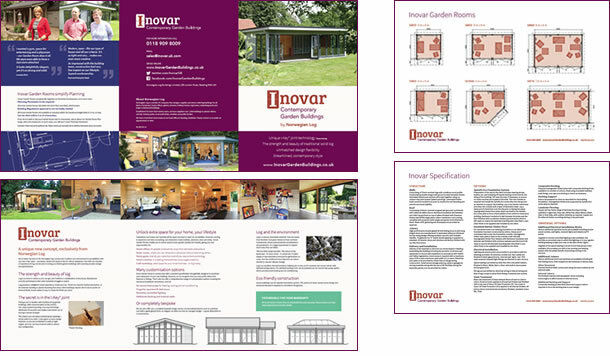 I also provided signage, an advert, a 6pp brochure and other supporting material for site and the launch event at the RHS Hampton Court flower show in July 2013. 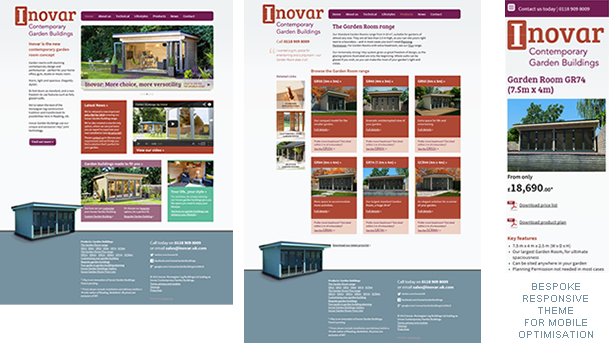 Further RHS Shows and other Events (such as Grand Designs Live) have seen me providing further printed collateral, website updates and support for their social media presence.